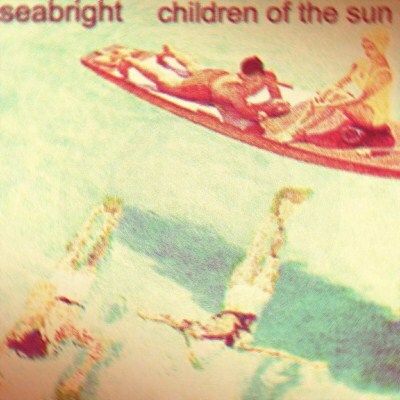 Brandishing sweeping synths and harmonized vocals, Children of the Sun from Seabright is an airy compilation that sparkles with electronica and psychedelic pop. Seabright is the chosen moniker for San Jose, California resident, Justin Morales. This is the seventh release from the artist and it was done as a soundtrack to a hot, summer day. Although none of the tracks seem geared towards keeping you cool from the weather, it’s meant to instigate a yearning for the bright sunshine instead. Skilfully combining a myriad of devices like guitars, electronics, samples, vocals and more to create his unique and “bright” sound; this is a cool compilation to keep you happy under the warm California sun. Almost all of the tracks in the album echo the same sentiment of leisure and relaxation under the warm summer sun. Tracks like Beginning Over Again, brings to mind retro television shows that glorify the beauty of the West Coast. On the other hand, Momentary Gloom, goes for a more surfer style pop rock sound. Laced with synthed-up hazy singing, the track would serve as a good soundtrack for a coming-of-age film. Garden Ground, meanwhile, is the stuff daydream’s are best played against. It’s a beautiful cut the resonates with glowing electronic synths and acoustic rhythm. The album not only makes you yearn for the sun and the glorious beauty of the summer but it also serves as a nice throwback to retro music. You’ll find that most tracks conjure up images of Valley Girls soaking up the sun or surfer dudes enjoying that summer wave. It’s a nice, overall feeling from the record. Take a listen.